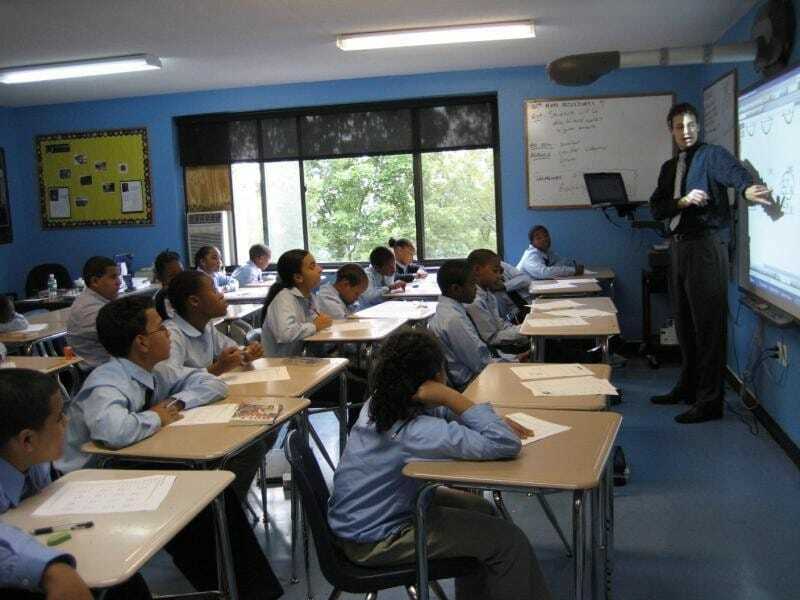 Awarded the Dispelling the Myth Award in 2008, Roxbury Preparatory Charter School continues to perform well above the state and has begun expanding. 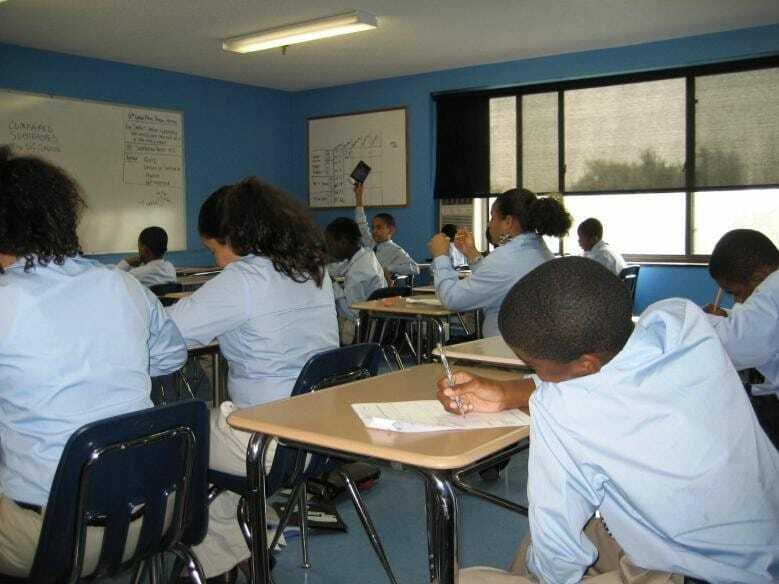 Roxbury Preparatory Charter School was founded with the idea that even children who had been badly served by their elementary schools can learn a great deal in middle school and be prepared to enter selective high schools and, eventually, graduate from college. With aggressive recruiting from the Roxbury and Dorchester areas of Boston, Roxbury Prep had — and continues to have — a primarily low-income student population, with 77 percent of students qualifying for free or reduced-price meals. 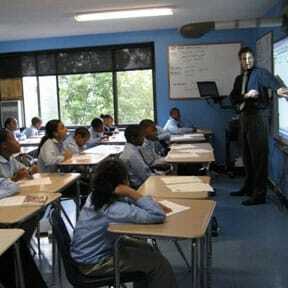 Almost all the students are either African American or Hispanic, with 30 percent speaking English as a second language. In addition, many students arrive behind. 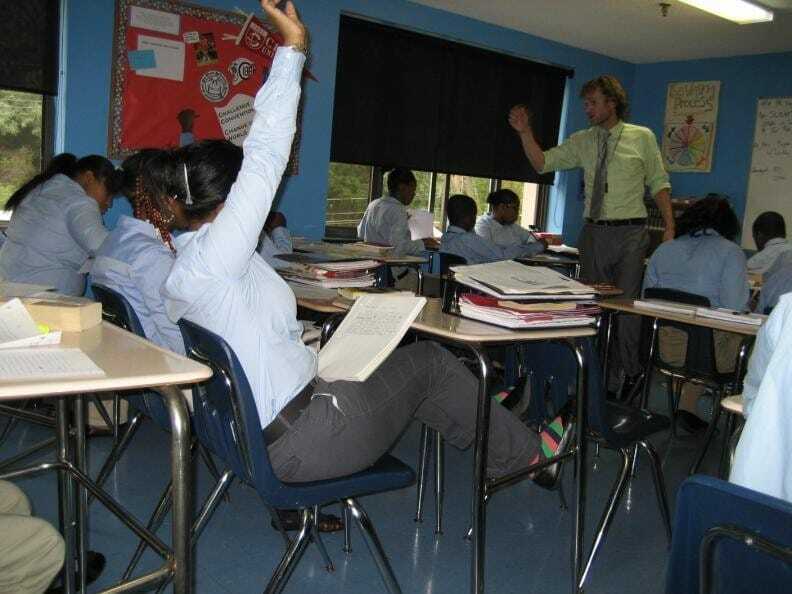 In 2008, the year the school won the Dispelling the Myth Award, the school calculated that approximately 20 percent of its eighth-grade students had arrived as sixth-graders scoring proficient or above on the state’s reading and math assessments. After a year of instruction, comparable percentages of students met state standards as the rest of the state, and by eighth grade about 90 percent met reading and math standards — a much higher percentage than the state as a whole. Roxbury Prep had demonstrated, in other words, that students who had been failing in other schools could succeed when provided with the right conditions. apply scientific knowledge and methods to solve problems and conduct research. With that as a beginning, teachers spend three weeks in the summer before school starts studying the performance data of their incoming students and the Common Core state standards and final assessments. With a clear sense of where they are and where they need to get to, they plan their instruction, mapping out the entire year with assignments and interim assessments, field trips and projects. “A small school with big minds,” is how one student characterized the school. Students’ anticipation of the future is palpable, with many talking about their plans for college. And, in fact, large percentages of Roxbury Prep graduates tend to go on to high school at Boston’s magnet and exam schools. Not only that but, according to the school’s data, 60 percent of its alumni who have left high school are either enrolled in or have graduated from college. HOW It’s Being Done: Urgent Lessons from Unexpected Schools (Harvard Education Press, 2009) features Roxbury Prep Charter School.